Recommend highly, my husband and I both seem him for dermatology and facial skin tightening and laser was so easy. Such a nice staff, just love them all. Waiting on him is worth it. I had the Vaser Lipo done last week, and I am back working without any problems. The procedure was a piece of cake.Great team and very caring. I am very happy with my new doctor. Not only does he take care of all my cosmetic issues , he also takes care of most of my medical problems. I just had the permanent filler Artefill done and am very happy with the results. I think he is the only doctor in this area that is trained to do this. Great job. Both my husband and I see Dr Ivers and we have been very happy wit his caring compassionate approach to his patient.. I see a lot of doctors working , but Dr Ivers is the best in my book. 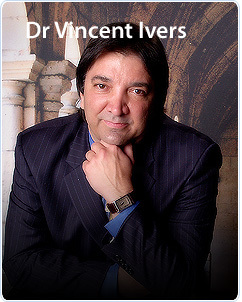 I had a very welcoming experience wit Dr Vincent Ivers. He and his staff were wonderful. They explained everything they di and were jus awesome. I love Dr Ivers!, He works very hard to make his patients feel comfortable while gathering information and understanding their needs. I never worry about his ability to keep me safe while working on me..He is by far the best Doc with Skin Fillers and Laser procedures that I have found in this area. He is a Doc that will give his honest opinion if he feels the procedure isn't right for you as patient. I would never hesitate to recommend him to anyone that is seeking the finest medical procedure knowing, that he always cares deeply about all his patients . I have been a patient for the past 2yrs. Although, I have seen most of the cosmetic Doctors here in Panama City,FL I would not be comfortable saying this about anyone else here in this area. If anyone would like to speak with me I would be glad to share my opinion with them. I have gone to many cosmetic Doctors over the years including some in Honolulu or other states, Some not all not that good. DR Ivers is top notch. Dr. Ivers has always solved effectively & promptly my health situations. I am very happy because all the procedures have been on time and performed in a very professional way. I don't like taking medications so I have always received the right one got well. You will notice he has experience! Love my new doctor. What a change from Chicago. Dr Ivers really cares about his patients. I was referred by a close friend and I have referred all my friends. He take his time and actually lets me know what the pros and cons of any procedure I am going to undergo. Encourages me to get a second opinion if I want and actually listens to me. Thanks Dr Ivers. I have been Dr Ivers patient for the last two years. He always takes his time with me and explains things in a way I can understand. I had the permanent filler Artefill and the CO2 laser done. I am very please. Dr Ivers gives all his patients his cell phone and actually called me to make sure I was doing OK after the procedure.. God Bless. Hope this helps anyone looking for a caring physician.